Read here Phonesheriff Review. Find out more about spying! Posted on March 19, 2015 by Tom Richardson Posted in Cell phone & Computer Monitoring Reviews . Phonesheriff is mobile monitoring software, which is created to spy on kids and employees. Phonesheriff is an ideal spyware for you in case you want to know what your kid is doing or to check the work of your office. This spying application is available in English only. Now let us see which monitoring functions Phonesheriff offers. However Phonesheriff tracker has several special functions. The first one, Panic Alert, makes it possible for your child to press the SOS button to inform urgently the GPS location of the device. One more interesting and useful function for parents is Blocking of the device for certain time. Thus a child cannot use cell phone while doing the home task for example. In case you have any questions regarding this spyware you can contact support in a live chat or send an email, which will be answered within the next 24 hours. 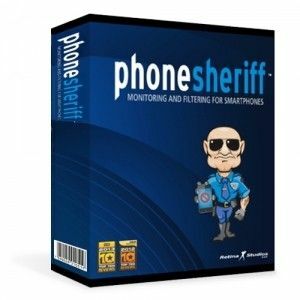 Phonesheriff has several subscription solutions. Parents can purchase Phonesheriff spyware for 6 months only for $49 and for one year it will cost $89. In case you need this app for business, then 5 licences would cost you $299 for the whole year. Additional services for additional money which Phonesheriff cell phone monitoring app offers you can find on their website. Phonesheriff tracking and monitoring software is compatible with IOS, Android and Blackberry devices. Now you can use this spyware also on iPad and Android tablets. Before the installation of this spying app make sure that it is not only compatible with the phone’s model but also with the firmware. If any issues cannot be resolved in a timely manner, a refund of the purchase price will be issued if the software is proven defective. For more detailed information, you should visit the website.